It's been almost a week since I was taken to the local hospital with atrial fibrillation. What a scary experience! I'm booked for a stress test and several other tests in the next week or two. What is the condition of my heart? More important...how is my "spiritual" heart in its relationship with my sovereign Creator God? This morning I saw this picture on Ann Voskamp's Holy Experience blog. 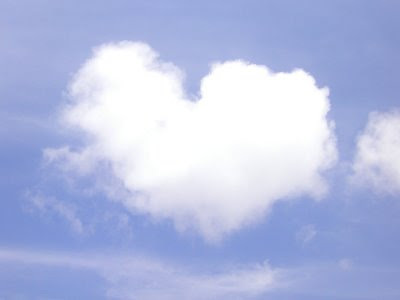 God reveals the expansiveness of his "heart of love" to us...even in the clouds. You are loved today, dear friend. The Father's eyes are focused on His children. He loves you!